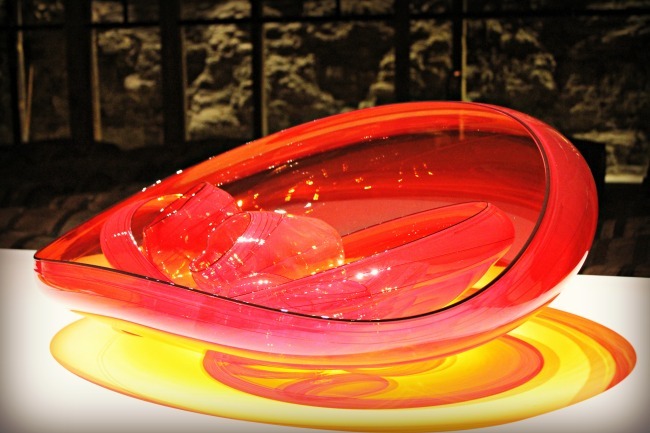 If you are a fan of glass sculptures, Bourbon and Kentucky then you need to make a trip to see Chihuly at Maker’s Mark. 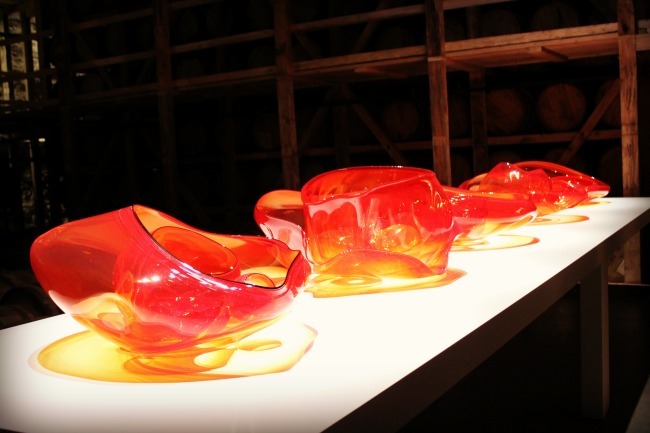 The renowned glass sculptor Dale Chihuly has brought a collection of his masterpieces to Loretto, Kentucky to be on display at the Maker’s Mark distillery for just a few short months. 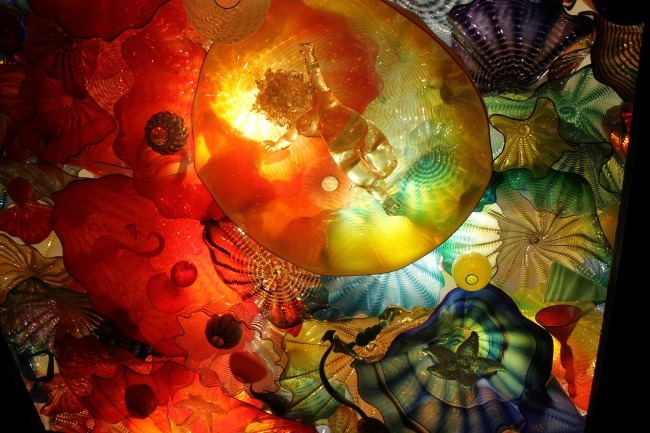 I am a huge fan of glass art, and Chihuly’s sculptures are really amazing to behold. They are bold, beautiful and larger than life. 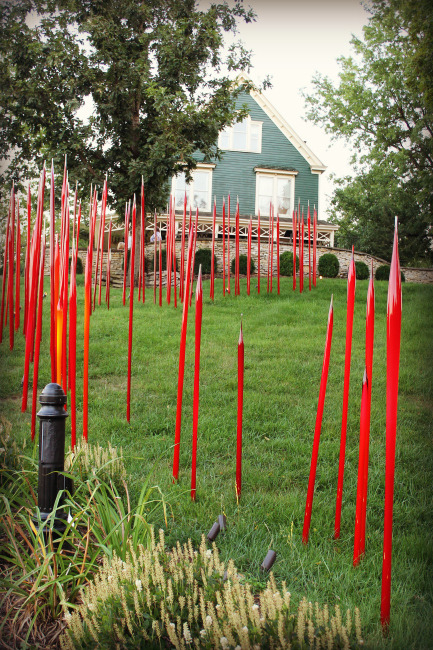 Chihuly at Maker’s gives you a chance to walk around the grounds at Maker’s Mark and get up close and personal with the sculptures. 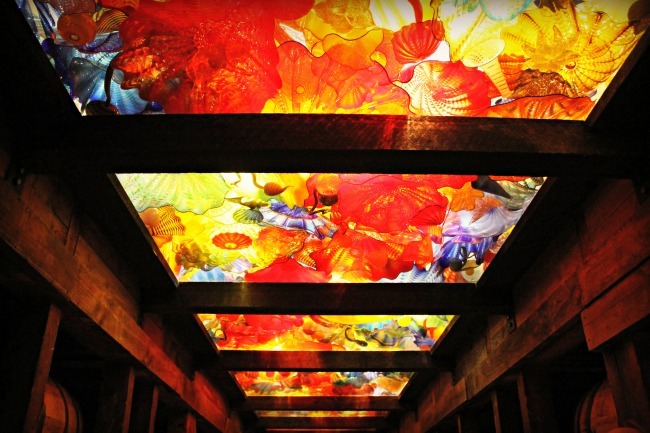 During the day you can see Chihuly at Maker’s when you take tours of the distillery. 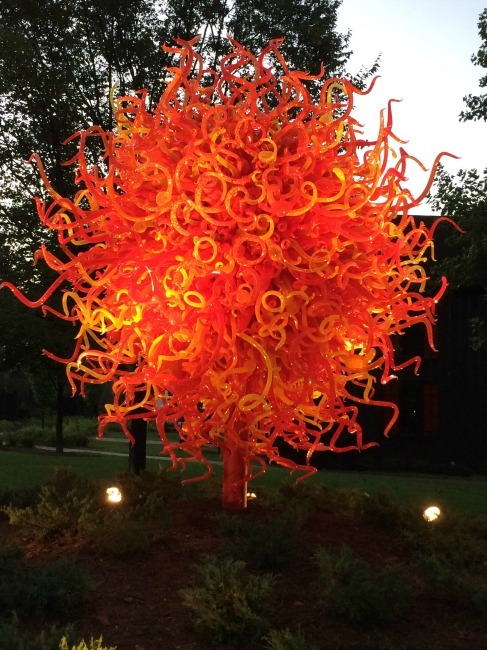 And while the sculptures are pretty cool during the day, they really WOW you at night. 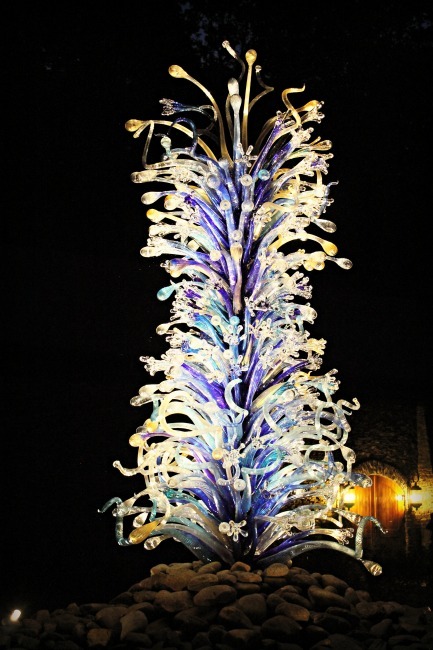 We attended the Chihuly Nights, which happens every Saturday night from 6-10pm. For your ticket price you get to walk around taking a self-guided tour including seven stops throughout the grounds to see the displays and you also get two free drinks! 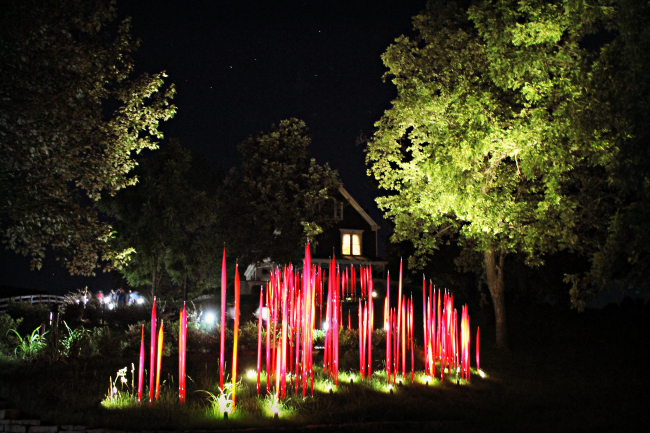 It really was a magical evening sipping bourbon and looking at the glass sculptures all lit up against the dark night sky. We thoroughly enjoyed ourselves. 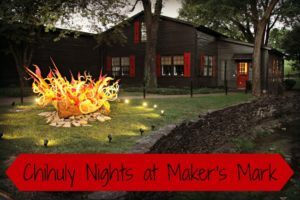 If you have interest in seeing Chihuly at Maker’s I would suggest getting there soon, because these masterpieces will only be here through October, with Chihuly Nights occurring from now through October 7th December 3rd (exhibit extended!!!). 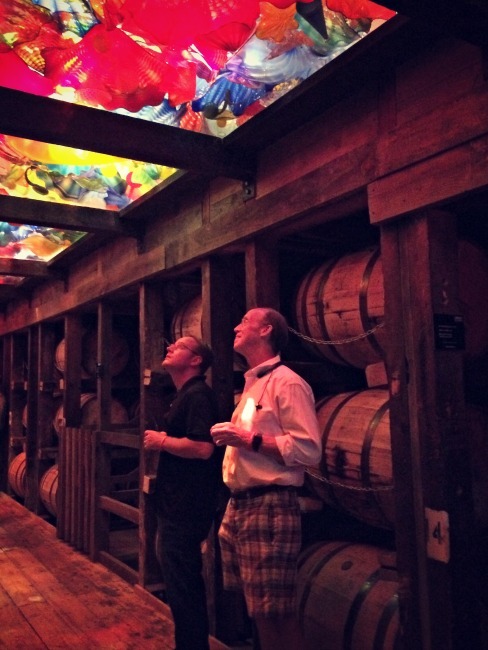 Do not miss out on this unique Bourbon Trail art experience! 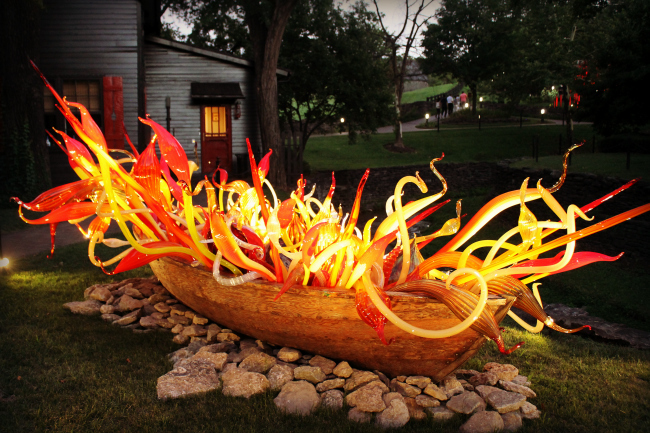 Visit the Maker’s Mark Website to get more details about the Chihuly at Maker’s Mark exhibit! We saw a huge amount of his stuff in Tacoma, WA! So rad! ?? 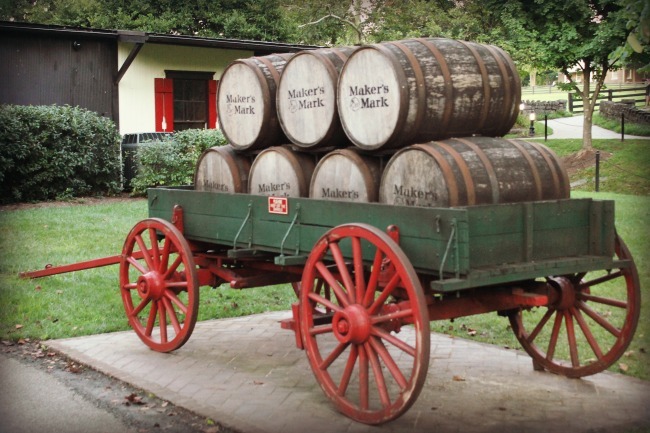 Because of your post on the exhibit,my husband & I visited Maker`s Mark. 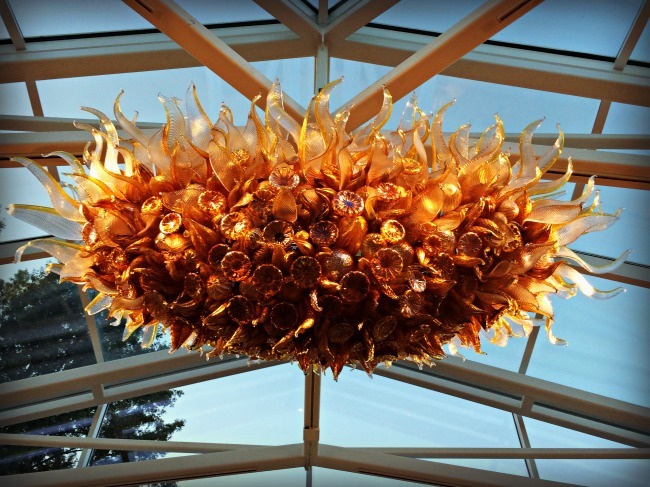 We enjoyed learning about Makers Mark & seeing the Chihuly sculptures. Visit TheLittleThings's profile on Pinterest. My other gig...making notecards. Cards by Katie are sweet & affordable, something for everyone! © 2009-2019 The Little Things Journal. All Rights Reserved. Designed by WPSHOWER. Website Management by Groundwork.